It used to be very difficult to get backlinks from other websites to pages within your site. In fact, it took a lot of time, trading, hassle and maybe even money. Almost so much time that it was hard to justify. Now, with the social media craze and poularity it is as easy as the time you take to get the backlinks. For all of the bloggers reading this message, what I am about to explain to you will be your GOLD. This method will put your blog posts on page 1 of Google. I have tried, tested and approve of this method as 100% pure whitehat SEO. Once you have done your keyword research and have written your blog post, and it has been published to the web. Head over to Social Poster. You will see a long listing of all the social media sites, you will see an “R” for register, and “L” for login, and a “Post” to post to that social media site. In the next column you will see the Google Pagerank for that site (very important for determining quality) and in the final colum you will see the Alexa Rank which is the traffic estimate or popularity of the site (also important for determining quality). Off to the right you will see the text box to enter the URL of your blog post, the title (remember to optimize as this will be the link back to your site), the text describing your post and finally the tags to classify your post on the social media sites. Here’s the kicker…you must register for each one of these sites using the “R’ mentioned above. It surely may take some time, but once registered, you are registered for life. In the future, you will only have to use the “L” for logging in. Once you have registered or logged in and filled in the URL, title, text and tags information, you are set to hit “Post”. Within 1-2 days watch your blog post rise. Within 2 weeks, watch your Google Webmaster Tools >> Links >> External Links for this blog post. You will see a good portion of links there. Your Challenge: I challenge you to go blog, optimize your post, publish, head over to Social Poster and register for the first 20 sites and post to them. Come back and report what happened to your blog post over the next week. I would love to hear how this worked for you. 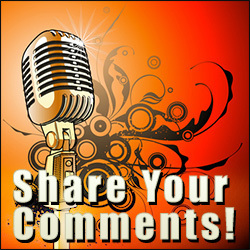 Share Your Comments and Get Rewarded. In an effort to encourage posting on my site, I have installed a WordPress Plugin to remove the nofollow attribute from the default installation of WordPress. What this means for all of you, in case you don’t know, that if you make a comment on any one of my posts, you will receive Google Pagerank weight for the link. So over time, as I promote the heck out of my site, you will also gain Pagerank on yours. It is the least I can do for you. This gesture represents my business model which is to treat others how I would want to be treated. I extend this to you and encourage you to share your comments. I will respond to any and all questions. If you would like to submit an article suggestion, please use my contact form. I would love to get some blog topics that will interest you, until then, I will keep blogging. I pledge to blog. My pledge is to blog…blog about anything and everything. I am sick of hearing myself tell others to blog, how important it is, and it is time, I practice what I preach. I have owned Ponder Consulting for almost 2 years now. Although I remain humble, I am proud of what I have built. I have managed a few companies in my career, but none were as challenging because I was not the owner. But with the challenges of business ownership comes the rewards, and there are many. If you have always “dreamed” of working for yourself, now is the time. In an economic crises, such as the one we are in now, there are a number of things you can do to secure your future financial position. 1.) Deal with your life. Get caught up on your to do list, and don’t avoid the things that are bothering you. As easy as this sounds, it really is. Yes, some days you feel like it never ends, but it doesn’t. That is the key to reward yourself for making a conscious effort to bettering yourself. With this economic panic setting in and with people losing their jobs, looking for work, needing money, etc. This will be the time for scam artists. That’s right, you heard me. SCAMS! We have all seen the get paid $50 per day for typing for 1 hour ad. If it sounds too good to be true…IT IS! Instead get a subscription to Elance, for only $9.95 per month, pick a category that suits you best, bid on jobs and work hard to earn customers and then prove yourself. This is how I got my start. It wasn’t easy and it wasn’t fast, but within 6 months time, I was developing contacts. Erase the mentality that you are worth more than those jobs are paying. The truth is you need a portfolio and experience to get anywhere online. If you follow steps one and two, you will have a great start on being prepared. You never know when you will get “that opportunity” and if you are not ready, then you could lose your chance. You also never know when you could become really busy and then won’t have time to deal with the things you neglected and this could cost you money in the long run. If you are really serious about starting your own business, then you can. You are smart enough. Have confidence in yourself enough to step out of your “comfort zone.” Let’s face it, if you are hungry enough for success, you will find it. When was the last time you met someone personally that said, “I am successful because I bought an infomercial at 4 a.m. and I made millions!.” The truth is, if it says you get rich quick, then it’s a SCAM. There is no such thing. Instead, through hard work, determination and perseverance, you will succeed. 5.) Stay Balanced, Humble and Honest. It is pretty self explanatory. This is the only way to have a long life and to be truly successful. Lastly, if you were to start a business and make it through your first year, you have a great chance of making it through your second. And if you were able to start a business in these tough economic times, then you could surely manage when things are good. My last piece of advice is just when you are about to give up…press on, for you are so close to success. Want more? Check back often…I Pledge to Blog.